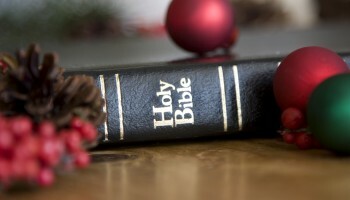 Growing up, there were rarely, if ever, any children’s sermons on the season of Advent. Even as a child, my recognition of Advent was very scarce. It wasn’t until college, honestly, when I realized there was more to the celebration of Christ’s birth. There was a specific time leading up to this celebration that made it even more meaningful. Advent is a season of anticipation and an intentional time to wait and prepare for the celebration of the Messiah. As a Pastor to children, I wanted them to begin understanding the excitement in this time of waiting. I wanted children to know that there was even more to the celebration at Christmas time. With this desire, each year, I find ways of not only recognizing Christmas, but recognizing the joy in waiting and preparing for His birth. What I love about ministering to children is that through very simple teaching and lessons, they can begin to remember important truths that will help them build their foundation in Christ and shape their understanding of the gospel. It might even be something that they remember into adulthood as many of us can relate with. Intentionally teaching children about the season of Advent can help them shape their understanding of Christmastime and the importance of the birth of Christ. Advent also prepares children to focus on the needs of those around them and how to give hope to others at Christmas, which is a complete shift from the norm of consumerism and personal gratification that children are bombarded with during Christmastime. Here are a few ways you can help children at your church shift their focus onto those around them. There are four Sundays in Advent. Each week you have the opportunity to remind children about the Advent Season. Talk about it as a time of waiting with anticipation for something exciting to happen. You can give examples of times of waiting such as opening gifts on Christmas morning or your birthday. Kids love to open gifts that they’ve been waiting for. You might even share a story about a gift that you had been wanting for a long time and what you did during that time of waiting. How did you feel? What did you do while you waited? Kids will begin to relate with the feeling of waiting for something exciting. Share with them that the world was given an incredible gift from God. The gift was given to us through His Son, Jesus, who was sent as a baby. Begin to ask them what the gift was. Allowing kids to participate will help with their information retention. Tell them that Jesus brought life to the world and came to save us all. Explain to them that the world had been waiting and waiting for a Messiah, a Savior. They couldn’t wait to receive a gift from God that would save them. Tell them they had waited for a very, very long time. Ask the children what they would do if they were told they couldn’t open their Christmas gifts for years. Kids will most likely react in disgust to that type of question. Emphasize the waiting that took place which is why we take time to participate in Advent, and remember the time of waiting and hoping for a Savior. 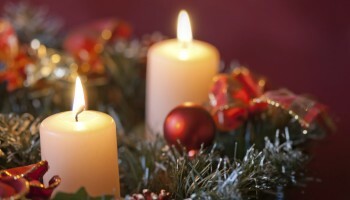 I recommend using an Advent wreath to help kids remember the countdown each week. You can use battery operated or real candles depending on the space you use. Allow children to participate in lighting or turning on the candles each week, one by one. Each week, when you light the next candle, explain to them what the candle represents. The first week is the “Prophet’s Candle” (purple) which represents Hope that Jesus is coming. 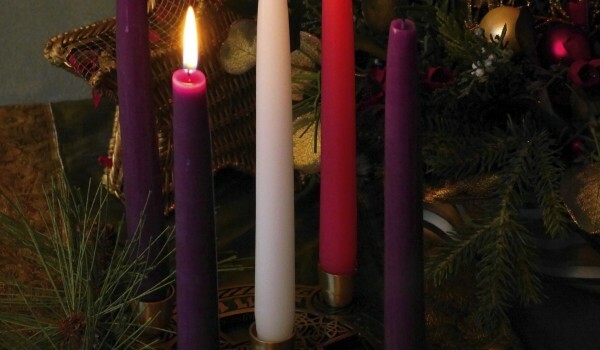 The second week is the “Bethlehem Candle” (purple) which reminds us of the faith in the Journey to Bethlehem. The third week is the “Shepherd’s Candle” (pink) which reminds us of the joy that was brought to the world by the news of Christ’s birth. The fourth week is the “Angel’s candle” which reminds us of the peace they came to proclaim to the world. By simply using these weekly candles you can arrange a small children’s sermon around Hope, Faith, Joy, and Peace along with the Biblical Story of Christmas. Don’t forget to remind them of the center candle each week. Tell them that one is lit on a special day when we celebrate and it is called the “Christ Candle” (white). In addition to simply walking through this Advent lesson each week, you can create ways that children and even families can participate together in Advent discussions at home. This might be a great way to partner with youth or adult ministries in your church on discussion points that can help guide your congregation through the season together. For example, in the first week of Advent when you talk with the kids about the “Prophet’s Candle” and the Hope in Jesus coming into the world, you can create a discussion topic to help kids experience this such as, “Everyone needs to know that Jesus loves them and brings Hope to their lives.” Create a few cards to pass out or send to people in a nursing home or hospital that need to know the Hope and love that Jesus brings. You can talk to the children about doing this throughout the week and challenge them to come back next week to tell you how it went. Explain to them what it means to bring hope to others in the time of Advent and how it makes the celebration of Christmas much more special. Another idea for the Advent season is to help children create a special calendar to help countdown to Christmas. This will help them see the time of waiting and anticipation. Talk with them about your excitement to celebrate on Christmas. Remind them that Advent is the time to wait so the calendar will help us remember. By intentionally talking to your kids about the season of Advent, you are helping to shape their understanding of the celebration of Christmas. The focus becomes less inward about what they want and are personally receiving for Christmas and much more outward about waiting to celebrate Jesus and giving hope to others. This is a lesson and practice that can be taught from an early age. Begin to find ways to incorporate this practice not only with your elementary students, but for your littlest learners. Simple phrases and songs can help them become familiar with Advent and grow with the understanding of waiting to celebrate. As you prepare for Christmas and Advent this year, be prayerful about ways you can help children give hope to others in this season and think outwardly. Jesus came to bring hope to the world and we are called to continue to share that hope with those around us. Children as well as adults are vital members of the kingdom that can share the Hope of Jesus through the Advent season of waiting. Jen Vera serves as Pastor to Children and Volunteers at Bethany First Church of the Nazarene in Bethany, Oklahoma.